How to Fix a Car Stereo That Has Power But Won’t Turn On? Home » BLOG » How to Fix a Car Stereo That Has Power But Won’t Turn On? You turn the car on and start the radio but no matter how much you try, you just can’t get the radio to work? I will show you how to diagnose the problem and, if you are lucky, repair it without the need for a mechanic. Car stereo issues are very common, especially with older cars. This problem can have several causes, most common ones being blown out fuses and bad wiring. Step by step: How to Fix a Car Stereo That Has Power But Won’t Turn On? Take the stereo out. Make sure that your stereo doesn’t have an alarm and take it out of the cockpit but don’t unplug it. Locate the ground terminal and constant wires. Prepare your multimeter. Take your multimeter and set it to DC. Place the negative probe on the ground terminal, and the positive probe on the constant wire. If you are having trouble locating the constant wire, check the stereo user manual. It is also helpful to know that ground wires are most commonly green or yellow. Evaluate the reading. If you have done everything correctly, the multimeter should show twelve volts. If everything is OK with the stereo, it should show that reading regardless if the car is on or not. In case that your multimeter doesn’t show a value, prepare to check the fuses. You most likely have a blown fuse. If there is voltage on the constant wire and the multimeter shows values around twelve volts, we can proceed to test the twelve volt switch wire. Locate the wire. Twelve volt switch wire is yellow or red. Look at the back of the stereo for indications of the wire types. Set your car to appropriate ignition position. Turn your key to the accessory position. Take the multimeter and with the negative probe on the ground, touch the volt switch wire with the positive probe. Evaluate the results. Once again, if there is no value measured by the multimeter and you have done everything as you should, you have a blown fuse in the car use box. If the value measured is twelve volts, the switch wire and its fuse are in working order. If readings show that everything is OK, yet your stereo still won’t turn on, we will need to check stereo’s ground presence. Locate the ground wire. We will need to make contact with the ground wire that connects the stereo to the car. Ground wires are always black. Check if ground presence is OK. Set the multimeter to continuity mode. With the negative probe still on the ground terminal, place the positive probe on the black ground wire. If ground presence exists, your multimeter should produce a sound. Replace the bad wire. If you don’t hear a sound and you are absolutely sure that you have done everything correctly, the problem is most likely in the wiring. Make sure that stereo and car ground wires are connected. If necessary, disconnect and trim the wire a bit and connect it again. If the problem still persists, you will need to go to the mechanic and have him replace the car ground wire. Check the fuse. Locate the car fuse box. They are located under the hood of the car or under the steering wheel. Take a flat headed screwdriver and unscrew the lid of the fuse box. Once you do that, check to see if you can find the stereo fuse and take it out. 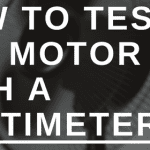 Test it with a multimeter to see if it is blown. Testing a car fuse is the same like testing any other fuse – Just place the positive probe on the positive side and the negative probe on the negative side; all that’s left for you to do is to note the multimeter’s reading. If the fuse is blown, replace it. But if the fuse is in working order, you should take your car to the mechanic. Place the protective rubber caps on your probes to make sure that you don’t short circuit the car. Take extra time to identify the wires correctly. If you are having trouble with locating wires, or if you just want to make sure that you are doing everything correctly, take the stereo manual. It contains detailed instructions and plans. Car manual contains the location of the car fuse box and detailed graphics of each fuse’s function. These are the most common causes of car stereo problems. If you still aren’t able to locate the problem and fix it, take your car to the mechanic, it is most likely that the problem is in the car. How to Test a Metal Halide Ballast with a Multimeter?